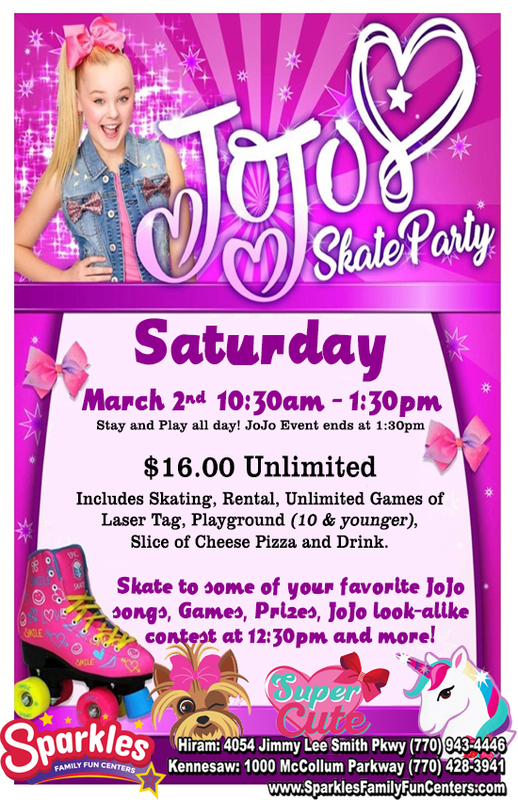 Skate to some of your FAVORITE Jojo songs, Games, Prizes, Jojo look-alike contest at 12:30pm and MORE! The 2019 Reunion Skate is almost HERE and it’s going to be a weekend long event! If you were a skater during the 70’s, 80’s, 90’s, 2000’s and now then WE WANT YOU HERE. Everyone is welcome! 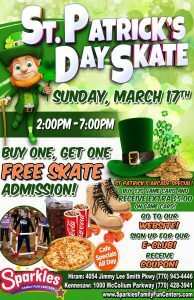 Best part, MUST BE 18+ TO SKATE! 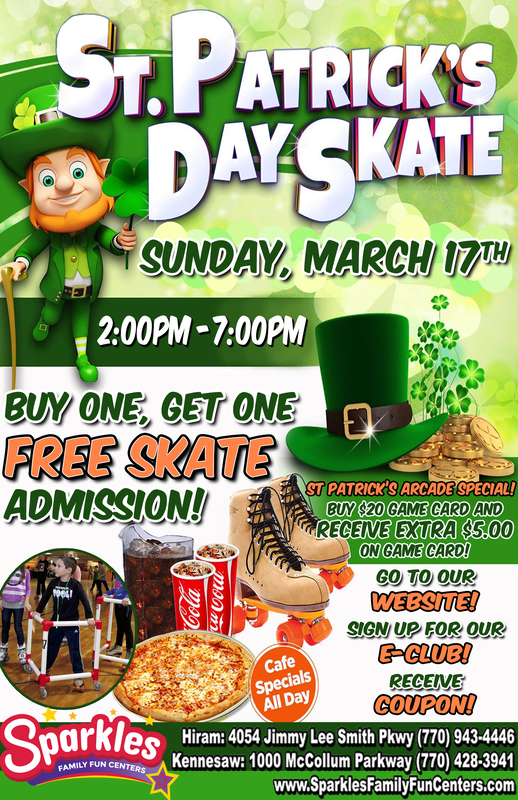 Buy One Get One FREE SKATE Admission this St. Patrick’s Day! Do something FUN and DIFFERENT this year! Dinners are cliché, boring and include loooong waits. Buy One, Get One Free Single Activity Admission this Valentine’s Day! ROLL into 2019 with us at the LARGEST NYE Teen Party in the area! Monday, December 31st 7:30pm – 7:00am. Skate to the BEST HITS of 2018 and experience our State of the Art Light Show and Fog! $30 Admission includes Skating, Skate Rental, Slice of Pizza, & One Soda and entry to the BEST NYE PARTY! Buy ANY pair of Skates over $100 & receive $50 back on a Sparkles Admission Gift Card! As a THANK YOU to all of our wonderful customers…. FREE SKATING ADMISSION for everyone Thursday, November 29th! OPEN EVERYDAY during Paulding County’s Thanksgiving Break! Join us this Thanksgiving Break and have an experience that you and your family will NEVER forget!! FUN FOR ALL AGES! 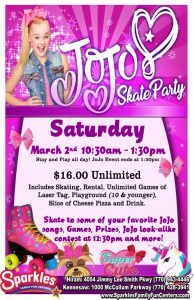 We offer roller skating, 2-story laser tag arena, mulit-level playground, arcade/prizes, FREE Wifi and full-service Cafe. Save up to $19 per person this Thanksgiving Eve!